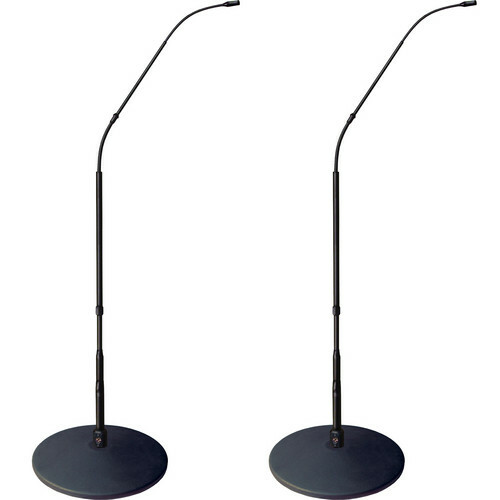 The FlexWand Series 30 kHz High Definition Hypercardioid Microphone from Earthworks incorporates a highly sensitive 30 kHz FlexWand microphone, built into a height adjustable gooseneck stand. The entire microphone system is sleek, low-profile, easy to set up and reproduces audio with incredible detail. The integrated stand is height adjustable. Easily adjust from 4'7" to 10" (1.39m to 25cm) with no exposed cables to create tension or noise. Setting up the microphone is easy, simply connect microphone cables (sold separately) to the base and you are ready to go. Earthwork's patented high definition microphone technology accurately reproduces frequencies that enhance subtleties and detail. This microphone is an ideal choice for crucial recording applications, sound design, speech applications, performance capturing, and much more. Box Dimensions (LxWxH) 31.6 x 8.0 x 2.8"